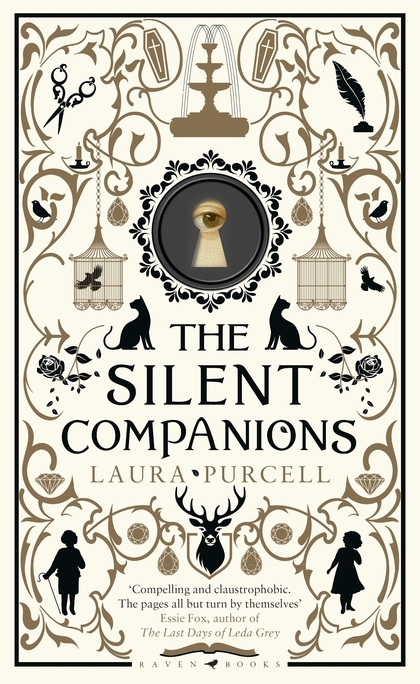 It's been a while since I've read a good gothic ghost story and The Silent Companions by Laura Purcell is just what I needed. The historical novel opens with Elsie in a mental institution, mute and driven crazy by the events that took place at her late husband's estate. She is encouraged to remember what happened by her treating Doctor, and the reader is privy to her re-telling. Elsie arrived at The Bridge in 1865 as a widow, only to bury her husband in the local churchyard before he had a chance to renovate the crumbling property for her arrival. Alternating between Elsie in the mental institution trying to remember the horror that lead to her being committed, are diary entries from 1635 written by the previous mistress of the household at The Bridge. The silent companions of the title are dummy boards (flat paintings on wood shaped to look like real people) which were a 'thing' in Victorian England. Painted to look real, they were employed as decoration or perhaps even to trick or frighten visitors. In this novel Elsie finds them behind a locked attic door and they soon take on a sinister nature, inexplicably turning up in various parts of the house, and re-appearing even after being burned to ashes. Stories in both time periods (1800s and 1600s) are captivating and the isolated setting and gloomy atmosphere adds to the tension in this Victorian ghost story. I should also mention that I'm in love with this stunning cover and I'm reluctant to shelve the book because I won't be able to enjoy the cover design anymore. 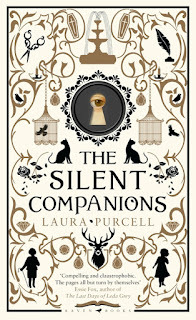 The Silent Companions by Laura Purcell is a stimulating and spooky gothic ghost story and I highly recommend it.